RARE DOUBLE BUILDING LOT IN ROTONDA WEST LONG MEADOW SECTION! Buy one lot, or better yet purchase the two together to create a spacious, almost 1/2 acre, building lot at the end of this peaceful cul-de-sac road. There is plenty of room for your southeastern facing pool. 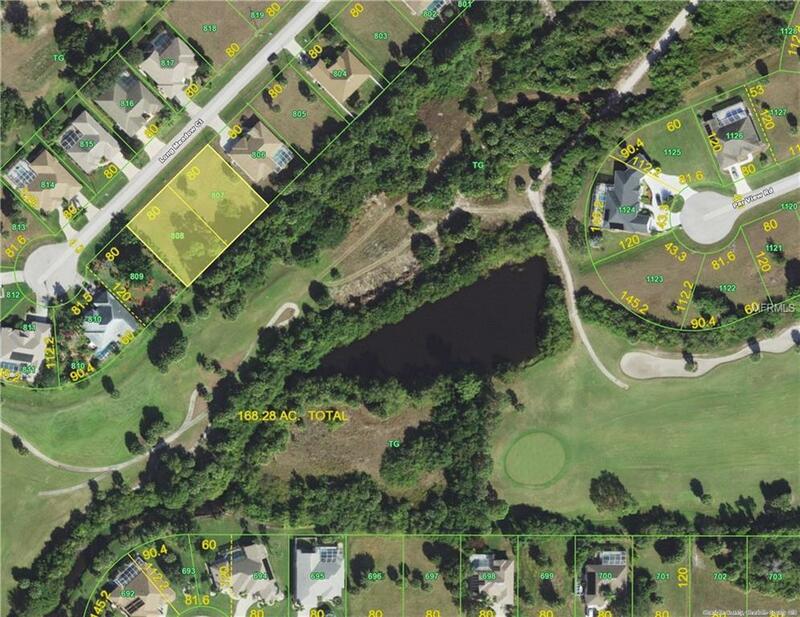 The property borders the Long Marsh Golf Course with a treed buffer. Rotonda West is a deed restricted community surrounded by five golf courses, with several other courses nearby. Boating and Gulf beaches, including Boca Grande, are also close to Rotonda West. All public utilities are available to the site. Do not miss this unique opportunity!